Do you budget for your holiday spends? When you go on holiday, do you properly plan a budget for while you are away? People tend to think about the initial cost of booking flights and accommodation, but according to a Thomson Holidays survey, over half don’t budget their spending money while abroad. Despite the economic climate, 57% said they spend whatever they like, and over a third also said they didn’t save for their holiday spending money. Over 65% said meals and days out were the main activities they spent their cash on while away, followed by wine and beer. The most expensive souvenir British tourists buy is jewellery, with some of the most popular items being diamond rings and watches. Ornaments, furniture and handbags were also among the most popular. 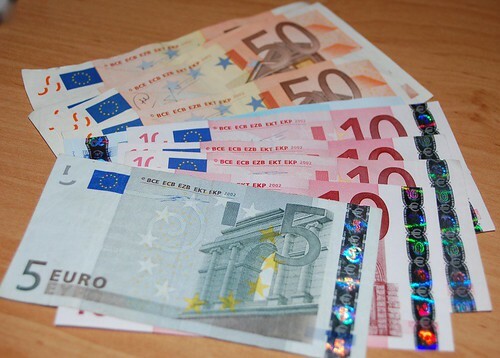 The research also found that 41% of holidaymakers return with around £50 worth of unused currency. I wonder whether they exchange the money back or leave it for another time? What do you do?